On March 29, Allen Bullock will receive a jail sentence pursuant to a plea deal entered in Baltimore Circuit Court on February 29. Nineteen year old Allen Bullock was charged in April of last year with eight counts of rioting, disorderly conduct and malicious destruction of property following the death of Freddie Gray, his friend. Bullock is seen in a photograph standing on top of a police car smashing a windshield with a cone during a protest. No one was hurt. Bullock says the death of his friend, Gray, got the best of him. Baltimore State’s Attorney Marilyn Mosby’s office offered Bullock more than 9 years if he would plead guilty. Bullock and his attorney, J. Wyndal Gordon, declined that plea deal. Over nine years in jail for, in essence, busting a police car window—are you kidding me? As a former prosecutor, that doesn’t sound fair and just to me. Obviously, the Baltimore State’s Attorney Office wants to make an example of Bullock but for what reason, I’m not sure. I acknowledge that Bullock committed a crime. I don’t accept that his crime should result in a 9 year sentence—or any jail time for that matter. Baltimore Circuit Court Judge Charles Peters offered Bullock and his attorney the plea deal of 12 years all but 6 months suspended, 5 years on probation, 400 hours of community service and getting his GED as a condition. Bullock accepted the plea offered by Judge Peters, likely because the aspect of facing a trial and the State’s offer was not appealing. It is an incredibly harsh and long sentence for the crime. He will be formally sentenced as part of the plea deal on March 29. What the sentence on March 29 will mean is that Bullock must go to jail for 6 months—minus any time he spent while waiting to make bail last year. Then he must remain on probation for 5 years. If he does not complete the 400 hours of community service or get his GED, he will face the balance of the 12 year sentence—all for smashing a police vehicle windshield. If he gets re-arrested for anything during the next 5 years, he faces up to 11 ½ years in jail—again for busting a police car window. On April 12, 2015, police arrested 25 year old Freddie Gray and placed him in a police van. After riding him around Baltimore without a seat belt in the back of the van for 45 minutes, Gray was found unconscious. He died a week later. Following Gray’s funeral, riots and civil unrest broke out in Baltimore. Bullock’s act is seen on video during a protest in downtown Baltimore. Allen Bullock later turned himself into the police after discussing the situation with his parents. 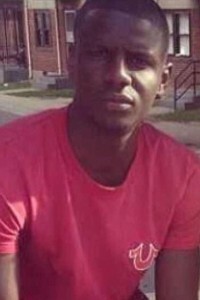 His bail was set much higher than any of the six police charged in the death of Freddie Gray at $500,000 for multiple counts of malicious destruction of property and rioting. He was released on bail through social media fundraising efforts. However, if not due to the social justice efforts to raise bail, he might still be in jail today. And that would be tantamount to a crime. Most of the facts are known in Bullock’s case—in part due to video footage. I question why the prosecutors would choose to make an example of this young man. It is highly unlikely that any of the six police officers facing trial for the death of Freddie Gray will receive 9 years in jail—assuming any convictions occur in any of the six cases. Bullock’s case shows that justice is not dispensed evenly and fairly for young African American men—even with a Black woman as State’s Attorney. And there are two different criminal justice systems—one for the Allen Bullocks and Freddie Grays and one for others who are different from Bullock or Gray. Washington, DC based Debbie Hines is a trial lawyer, legal analyst and former Baltimore prosecutor. Her Op- Ed articles appear in the Washington Post, Baltimore Sun and Huffington Post. She often appears as a legal analyst on Al Jazeera America, BET, CBS News, C-span, MSNBC, PBS, Fox 5 DC and other networks. This entry was posted on Friday, March 4th, 2016 at 5:09 pm. You can follow any responses to this entry through the RSS 2.0 feed. You can skip to the end and leave a response. Pinging is currently not allowed.